When one thinks of Central America, what do they think about? What images spring into their minds? Outside of crime, poverty, and war, the chances are that people sum up visions of jungles, Mayan ruins, quaint towns, colorfully-attired indigenous people, tropical beaches… all of the usual stuff. And Guatemala has all of it. It’s probably the most quintessentially Central American country in Central America. Jungles? Check. Ruins? Check. Colonial towns? Check. Indigenous culture? Check. A cemented place in the hearts of backpackers who traveled the Gringo Trail down the Isthmus? Check check check. This is Guatemala. Of course, Guatemala has been overtaken in the tourism stakes by Costa Rica, nowadays, but there was a time, back in the 60s, when it was THE place in Central America where gringos came. A lot of them stayed and are still here. They add to the hotchpotch of people that make up Central America’s most populous country. Guatemala is not without its issues, of course. Crime and poverty have made a mark. Decades of misrule and corruption don’t get erased easily. Not to mention the memories of a long-running civil war that only ended in the 90s. But despite all that, Guatemala is an optimistic place. Guatemalans only need to look around and see that they’ve got something special. 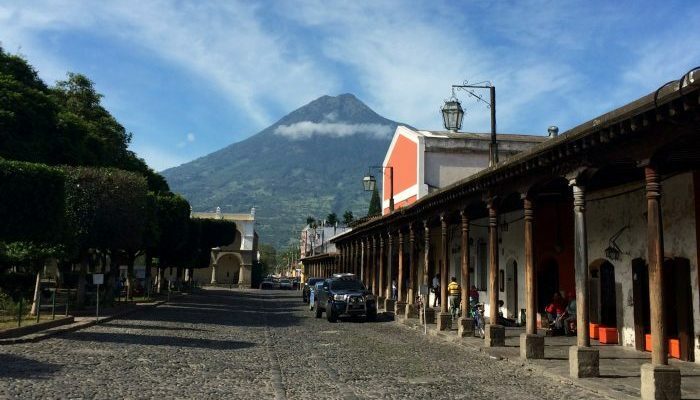 Guatemala is often cited as the place where blue denim, the chocolate bar, and instant coffee were invented. Some of these claims may or may not be true. But the claims themselves are certainly true. Guatemala is home to Central America’s deepest lake: Lake Atitlán has a depth of 1,115 feet and is surrounded by three volcanoes. It is regarded by many as the most beautiful lake in the world. Guatemalans are generally regarded as a very warm and inviting group of people. However, around 5-10 people are killed every Christmas/New Years in Guatemala by falling bullets. People like to shoot into the air to celebrate. What goes up must come down. With over 14 million people living in the country, Guatemala has the highest population of any Central American country. The national currency is called the quetzal, named after the country’s national bird.